Whether you’re an online business owner or a content marketer for a brand, as long as you’re publishing content, you’re more or less a publisher. And, like every good publisher, you need a dedicated professional to do all your proofreading. You might, for example, need some help editing your copy to make sure its flow, structure and logic are up to par. Or you might need professional proofreading done to make sure that your material has no errors of punctuation, spelling or grammar. Why pay a professional to proofread your marketing material? If you’re like most people, it’s probably hard for you to imagine paying another person to proofread your work. At first, it may seem rather unnecessary to hire professional proofreading services when you could just as easily have one of your team members do it for free. After all, you could run the word processor’s grammar check as soon as you’re done and have one of your colleagues give the copy a quick look over lunch, right? At the face of it, it certainly makes sense because the grammar check and your colleague will probably do a good enough job. However, you have to ask yourself whether ‘good enough’ is what you’re shooting for with your marketing strategy. It’s safe to say that while you are creating content for marketing, you did your absolute best to make sure that you come up with superior content. Why should the proofreading stage be any different? For you to have high-quality copy, you need to also have high-quality proofreading, which is why you need to use proofreading and editing services. They will add the varnish and finishing touches to your work that will leave your readers wanting more of your content and coming back for it at every opportunity. Below are the main reasons for hiring professional proofreaders to give your copy a final look and make corrections and changes. It frees you from the sometimes crippling worry of being incorrect, allowing you to freely express your creativity, which in turn boosts it. When you take the role of both writer and editor, the editor inside your mind will jump at every opportunity to nitpick and tell you how something you’ve just written is not good enough or just plain wrong. 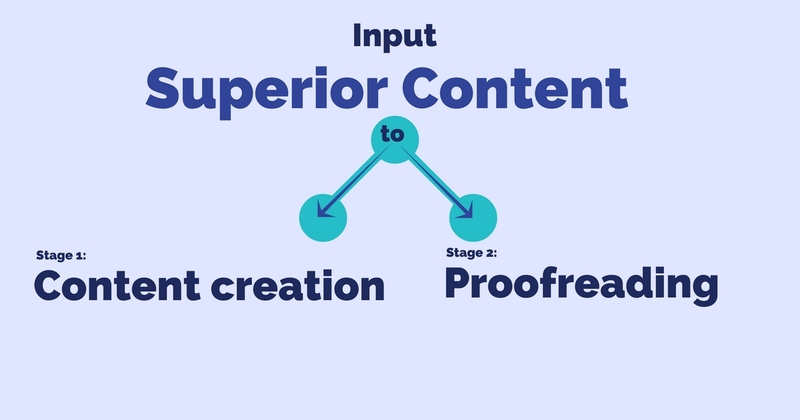 On the other hand, knowing that someone else, a professional, will proofread your copy, you can ignore the editor in your mind and focus of putting out all your creative ideas for content as quickly as possible. It ensures that your copy is well understood by your readers. You know exactly what you want to say. However, like every other human, you might not always express yourself and put across the message successfully. That’s why you need a fresh set of eyes to go through your work and ensure that your audience understands you clearly. In some cases, professional proofreading companies will have two or three proofreaders go through your work.